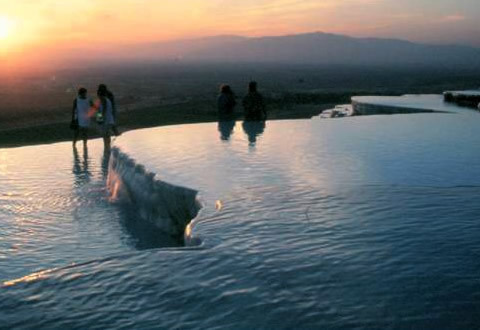 Pamukkale, where the hot springs were believed to have healing powers, has always been a very popular settlement. 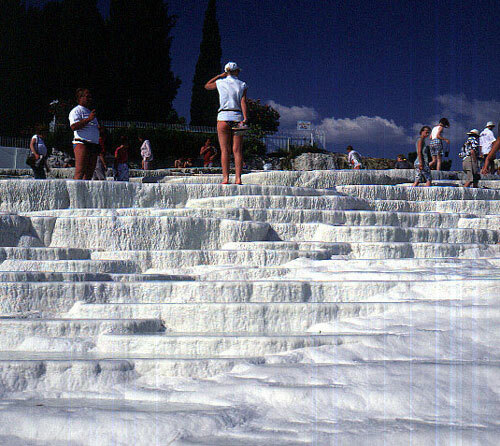 The terraces were formed by running warm spring water, at a temperature of 35 °C containing calcium bicarbonate. When the water loses its carbon dioxide it leaves limestone deposits. 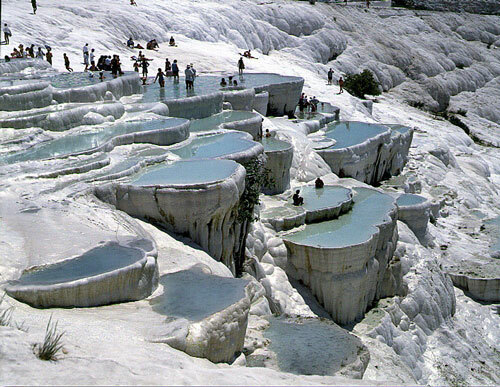 These are of different colors and shapes in the form of terraces with pools, overhanging surfaces and fascinating stalactite formations. 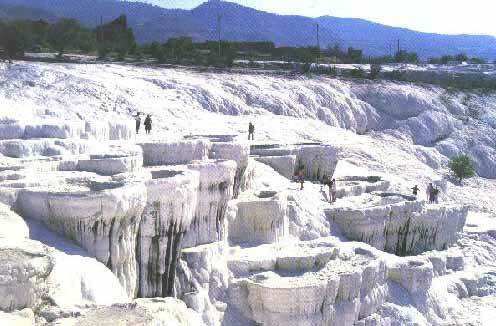 Pamukkale which means "cotton castle" in Turkish takes its name from these formations.